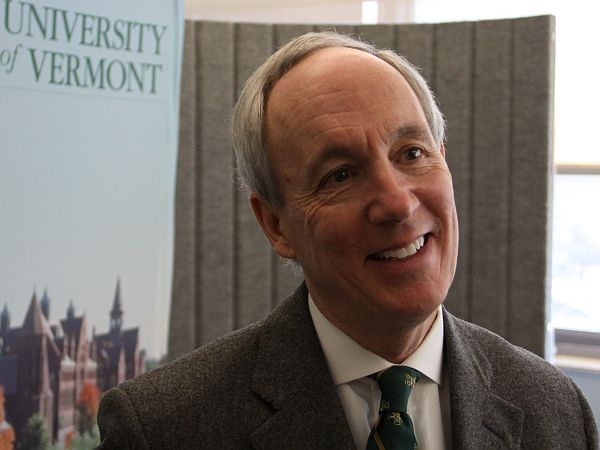 (Host) The new president of the University of Vermont says he’ll work closely with the political and business leadership in the state of Vermont to promote economic development. The school announced this morning that Thomas Sullivan will take over leadership of the university on July 15th. (Sullivan) "UVM’s mission and vision align very well with my own experiences values and aspirations. In so many ways the position of President of the University of Vermont is a natural progression and fit for me." (Sullivan) "First, we will promote financial access and affordability for students at this university. Second, we will promote a rich curriculum that balances a first rate educational experience for our students from the theoretical to the practical applications of great new discoveries and ideas that promote the communities in Vermont and its citizens." (Host) Sullivan says he’ll also focus on developing research infrastructure to benefit the state, as well as promoting economic development and supporting workforce needs in Vermont.